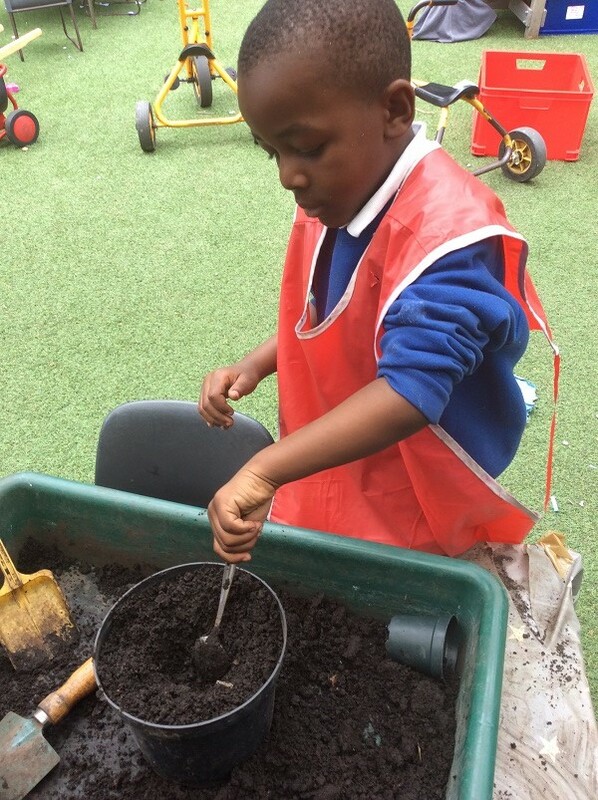 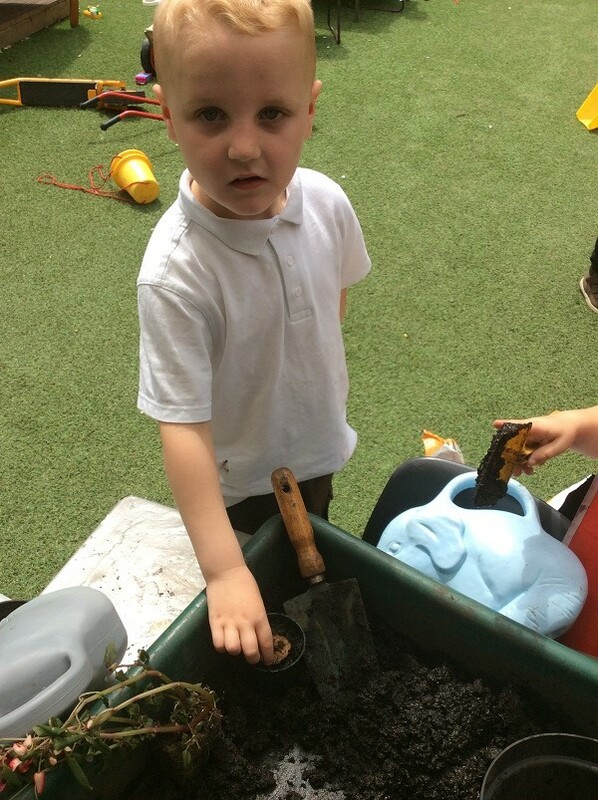 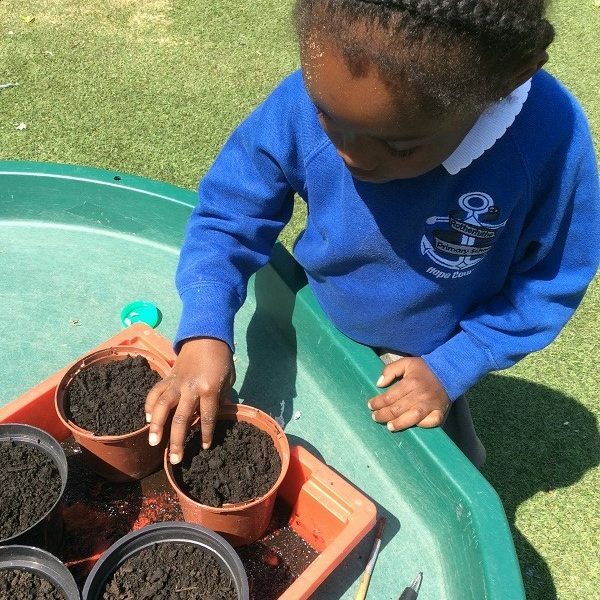 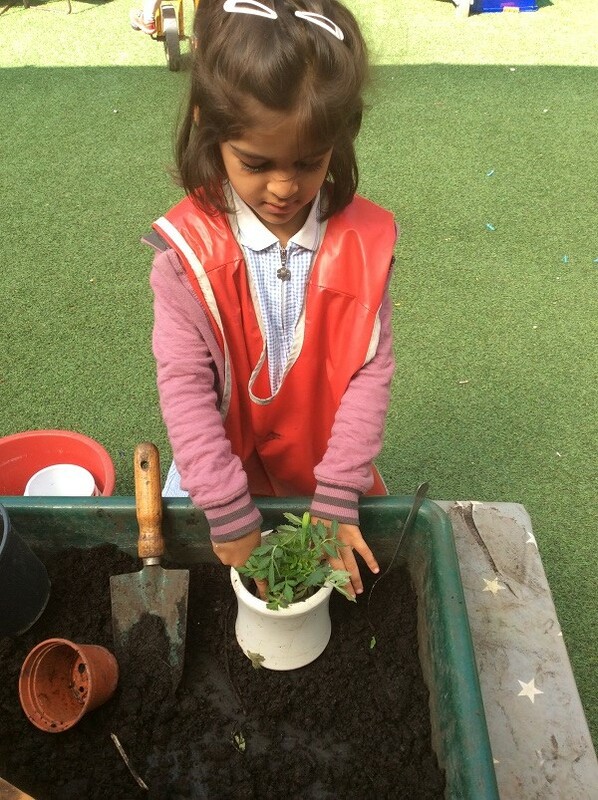 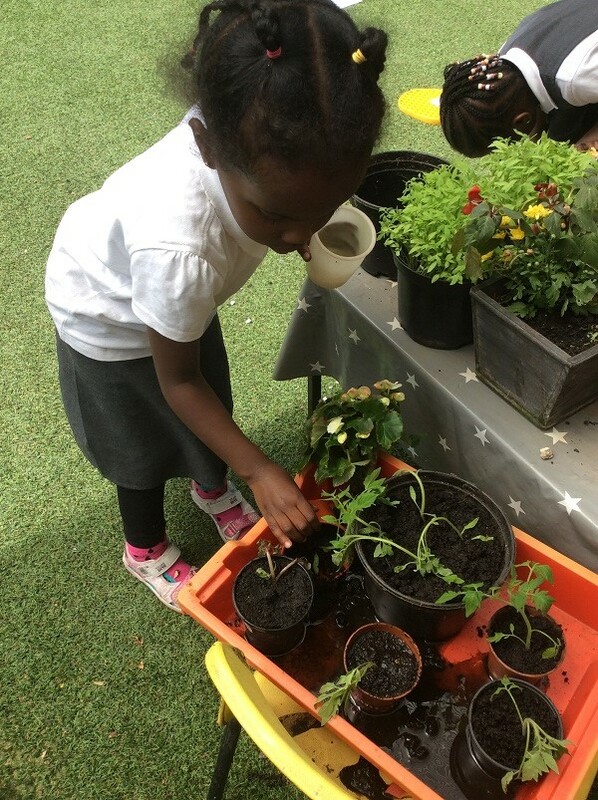 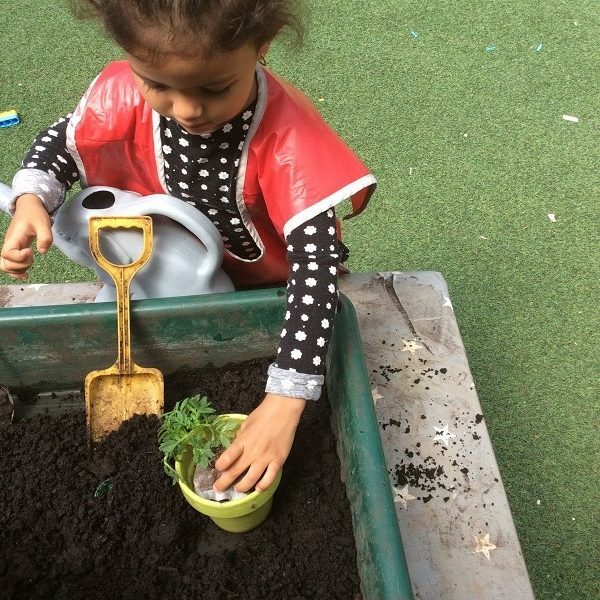 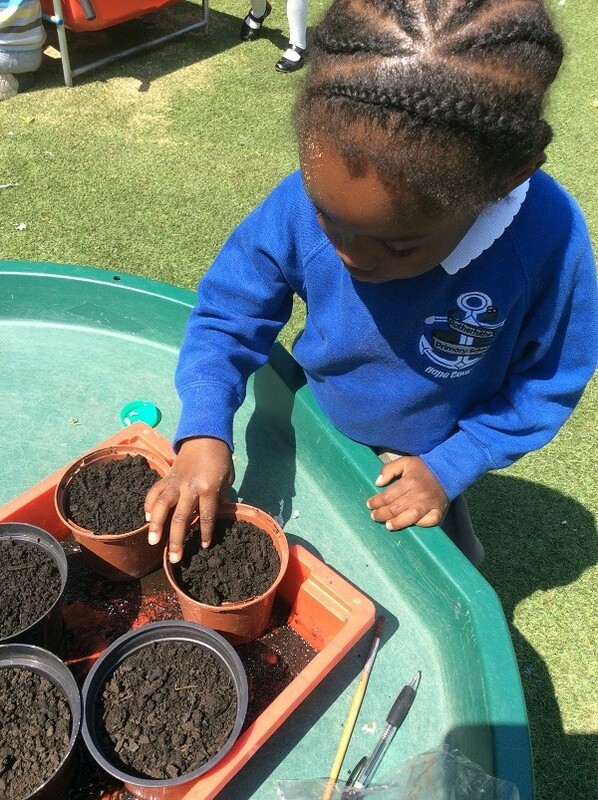 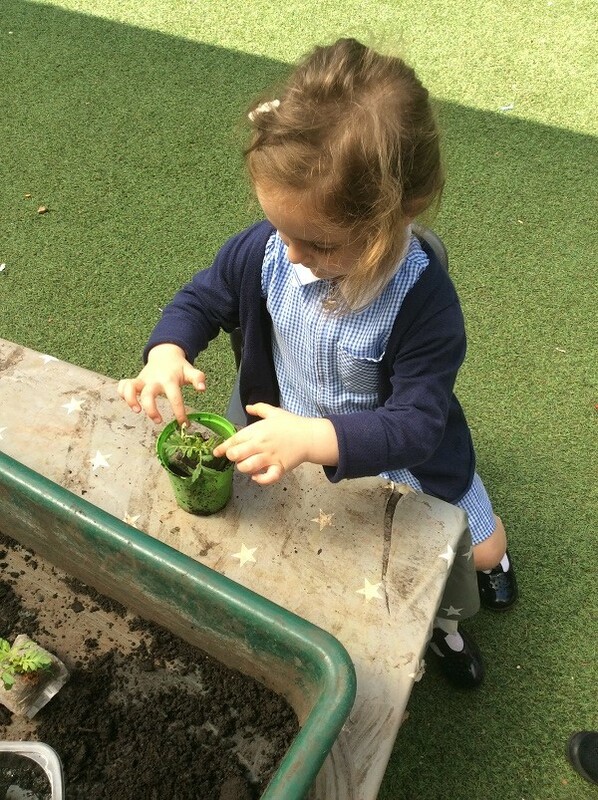 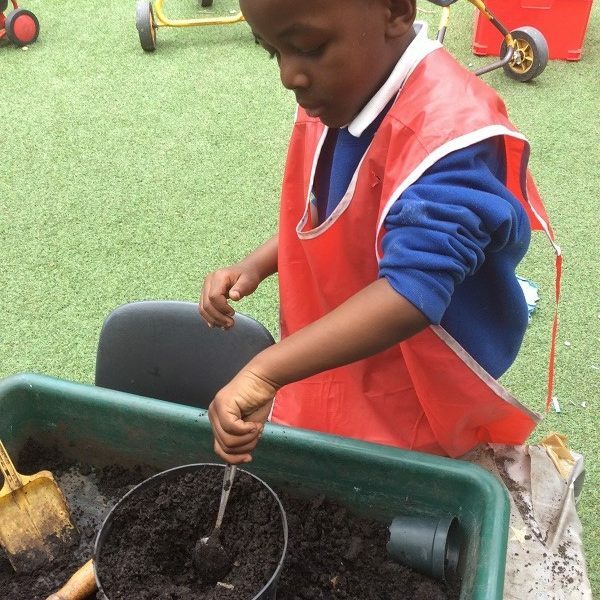 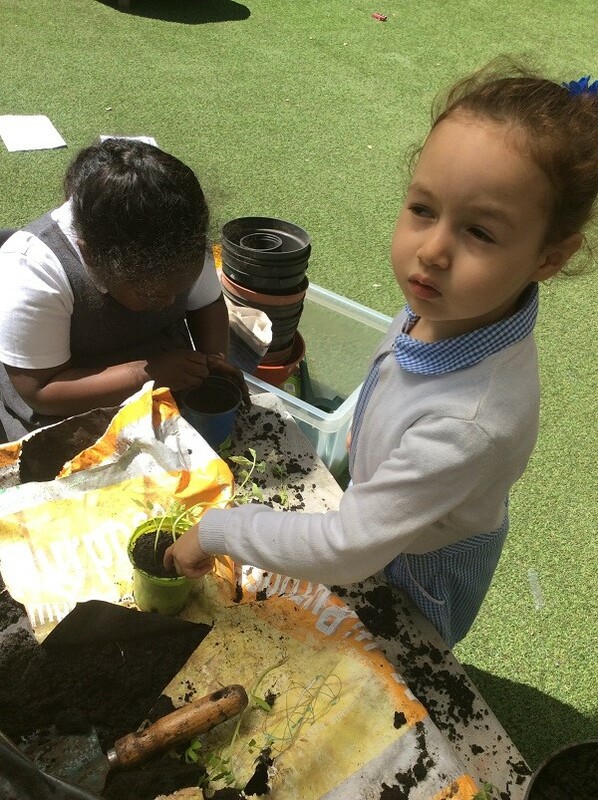 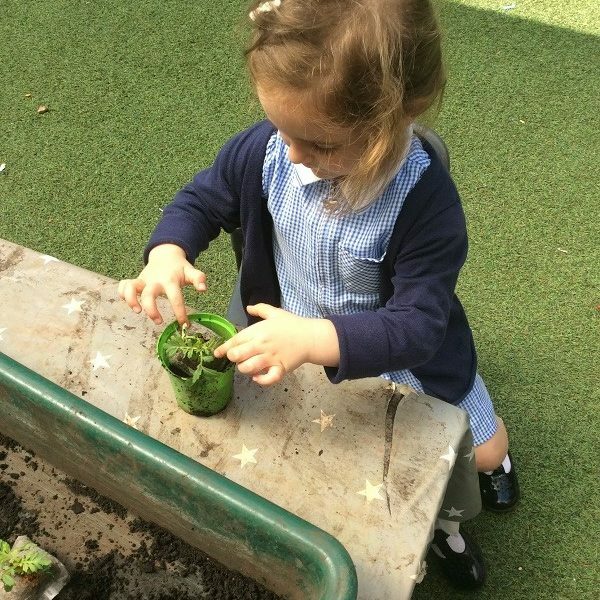 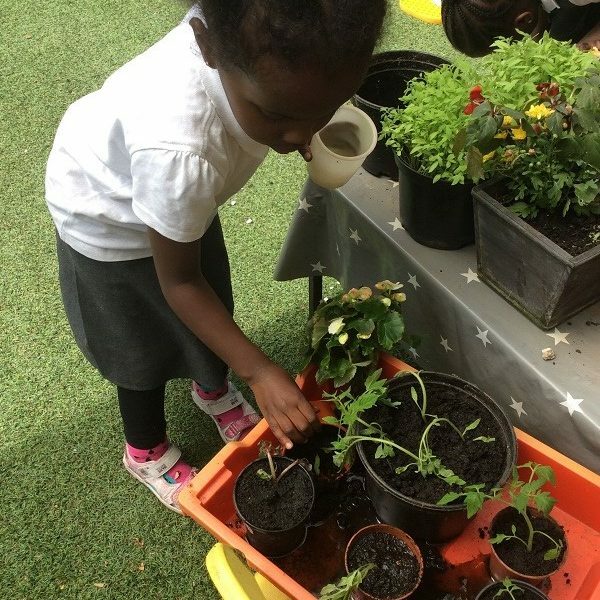 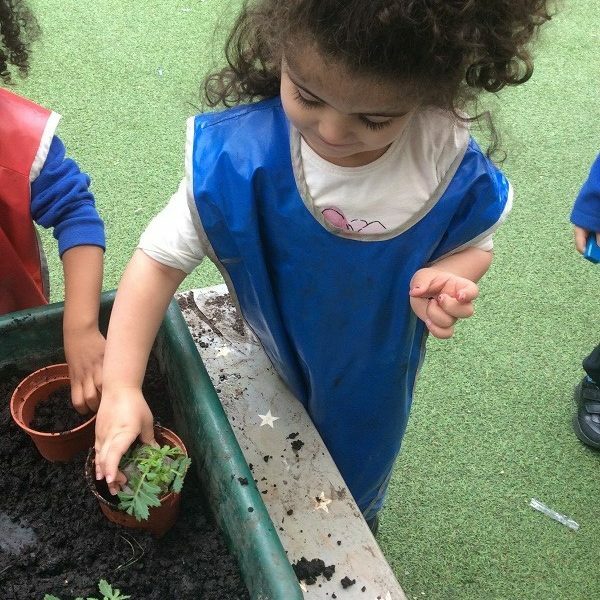 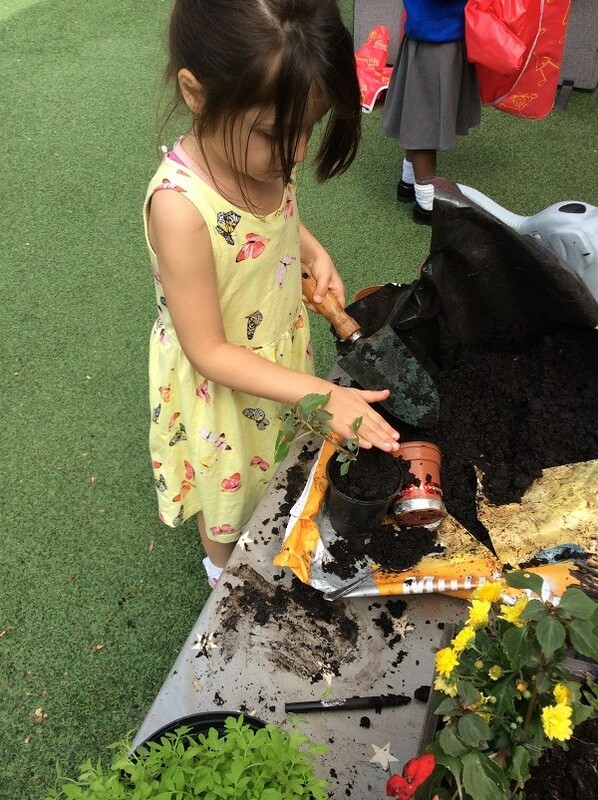 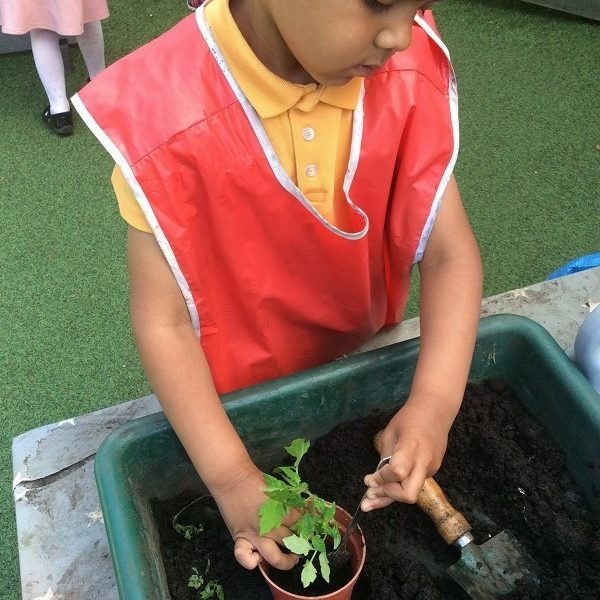 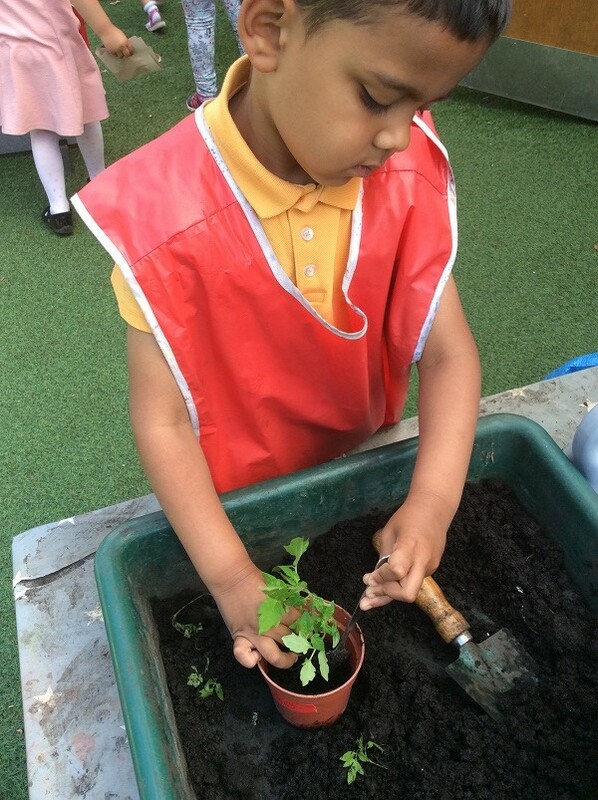 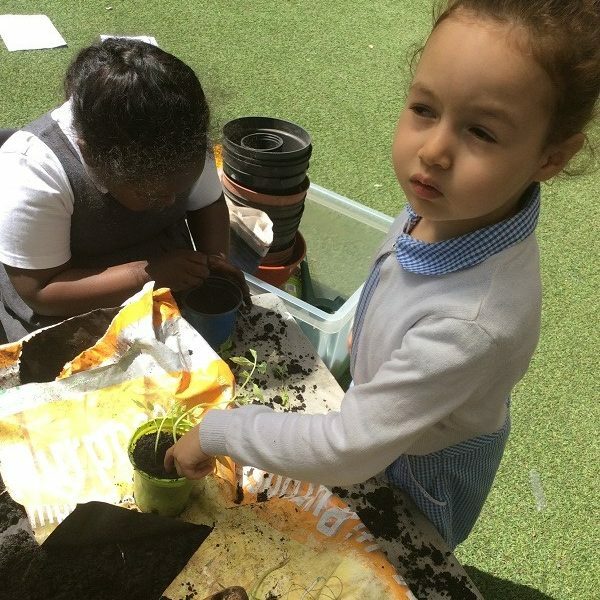 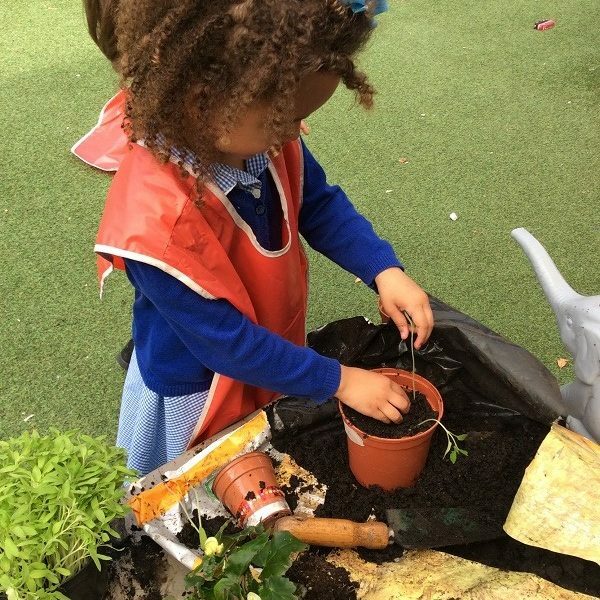 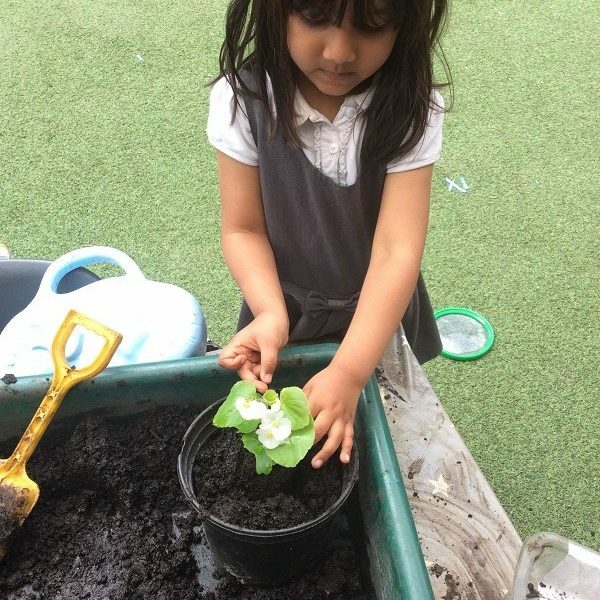 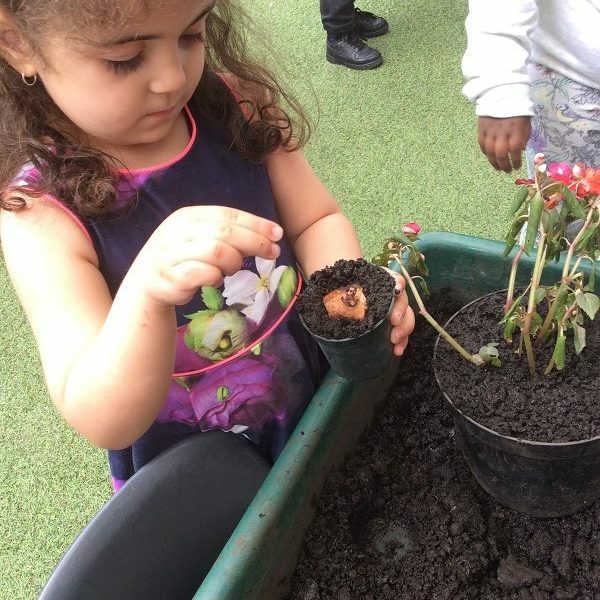 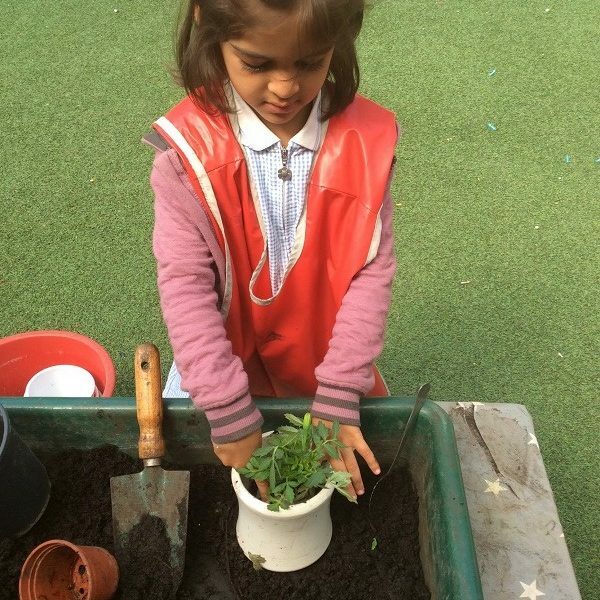 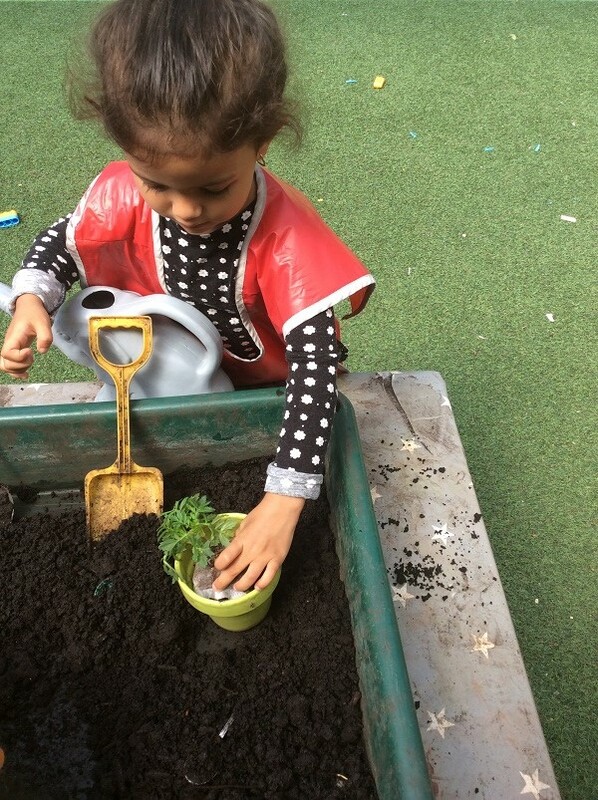 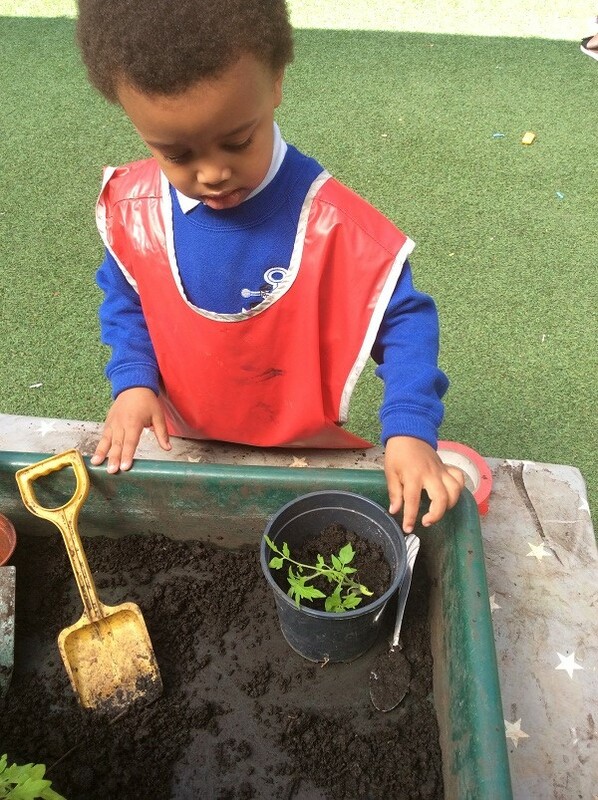 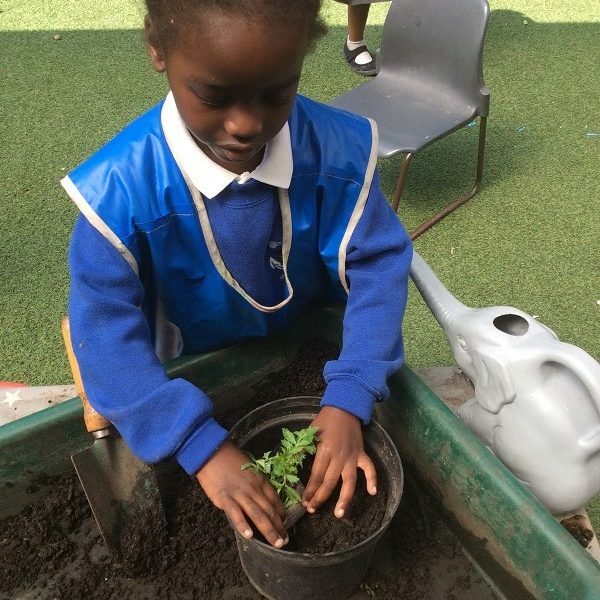 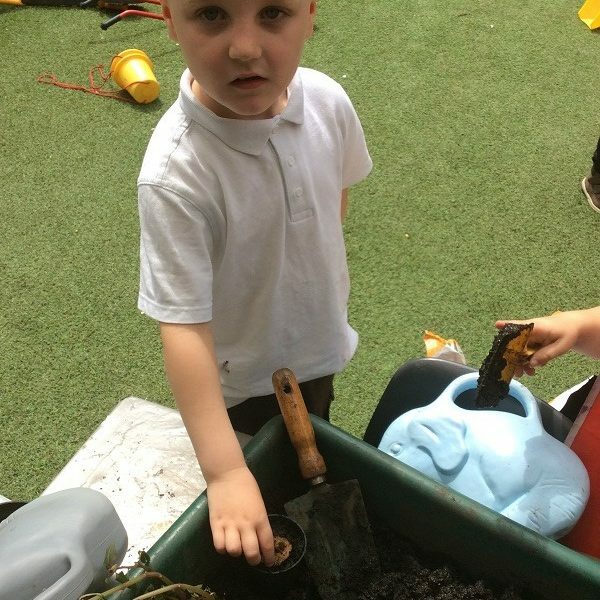 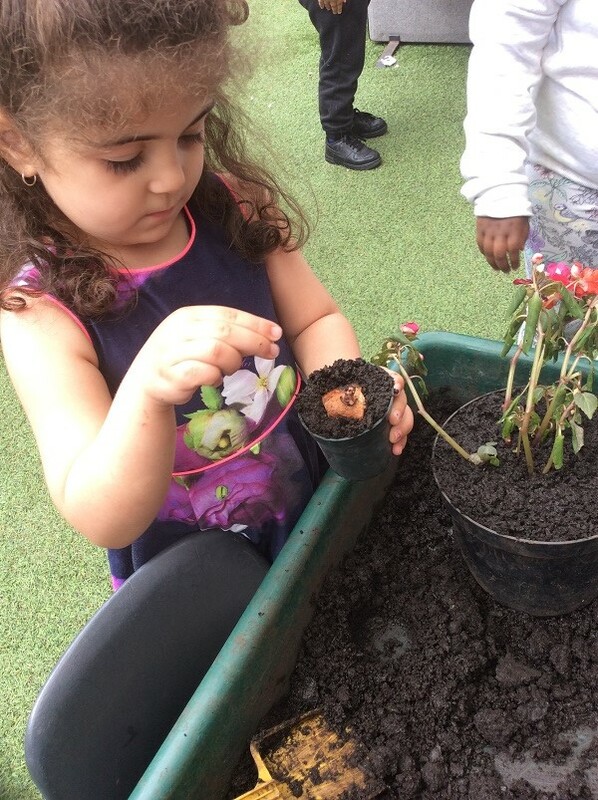 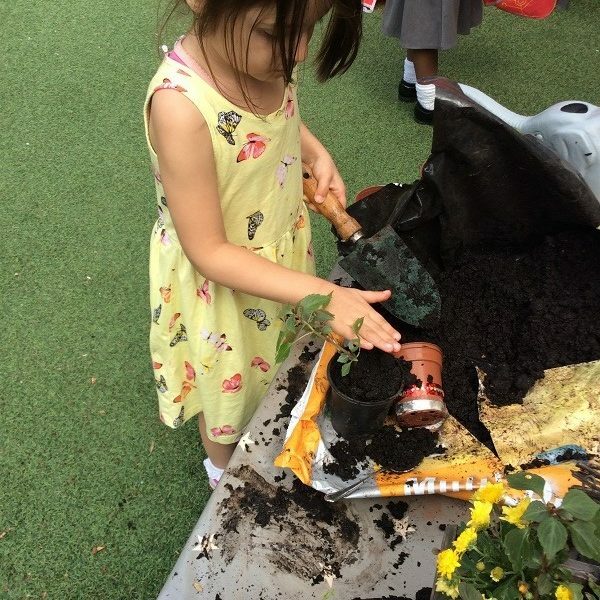 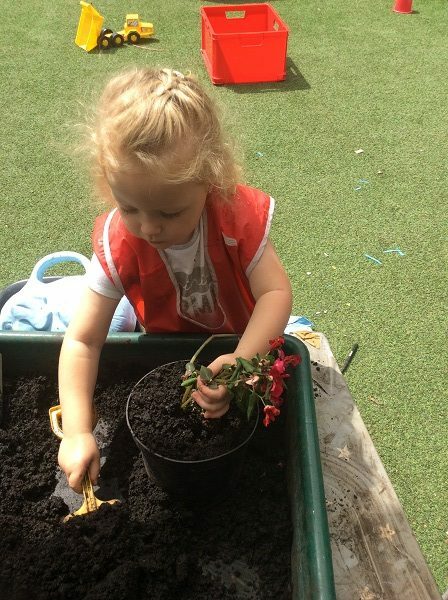 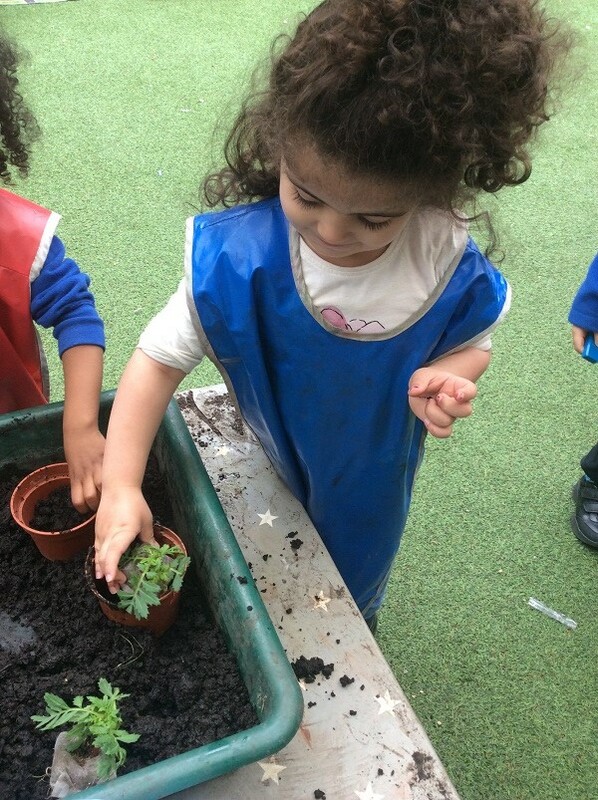 We have been planting a selection of different seeds and plants. 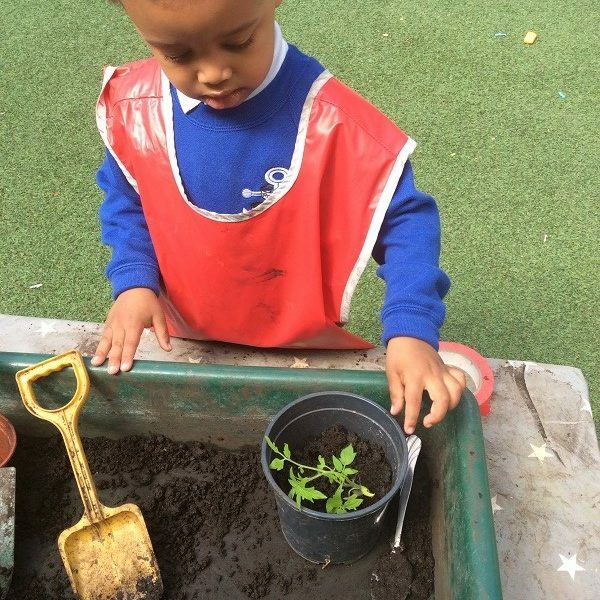 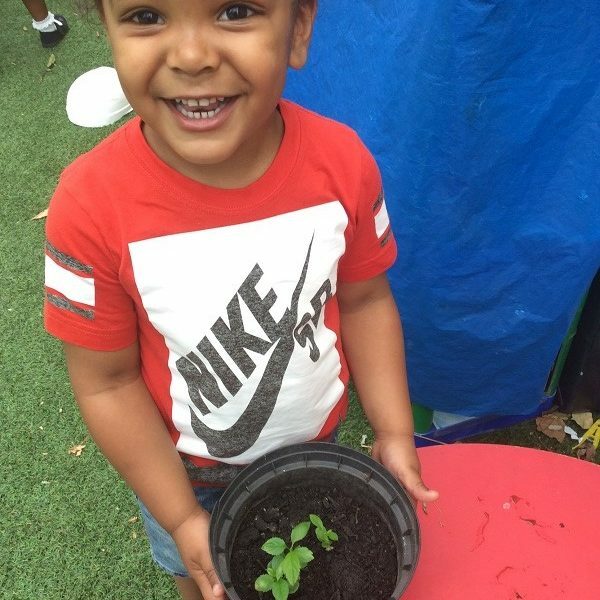 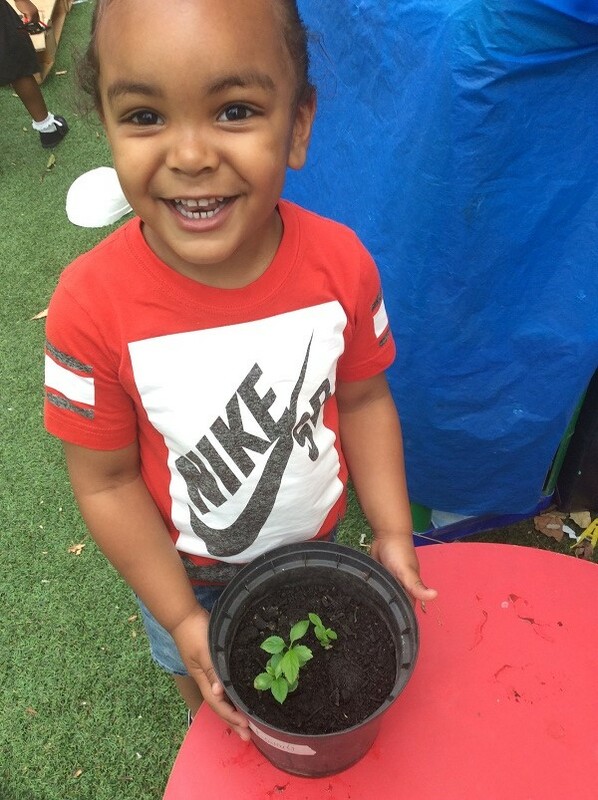 We have even planted seeds from our fruit – tomato seeds and apple seeds! 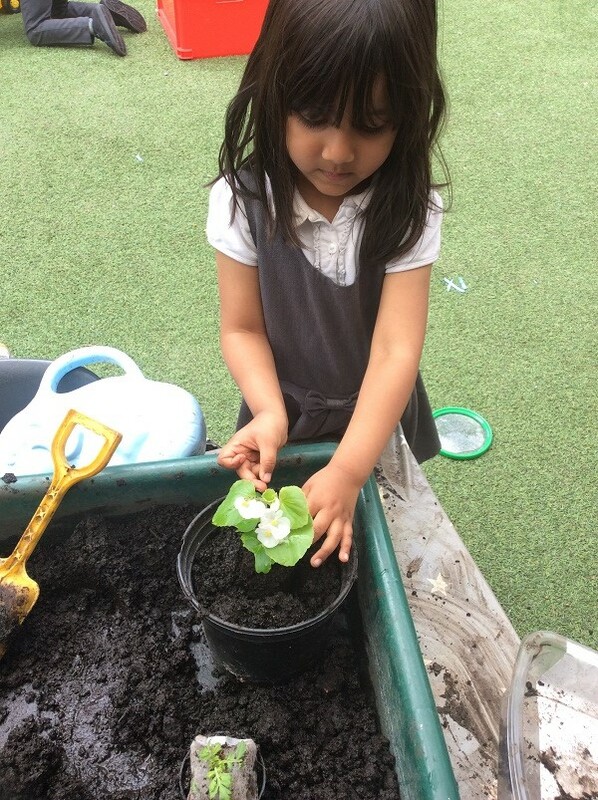 We have learnt about growth and changes over time and how to care for living things. 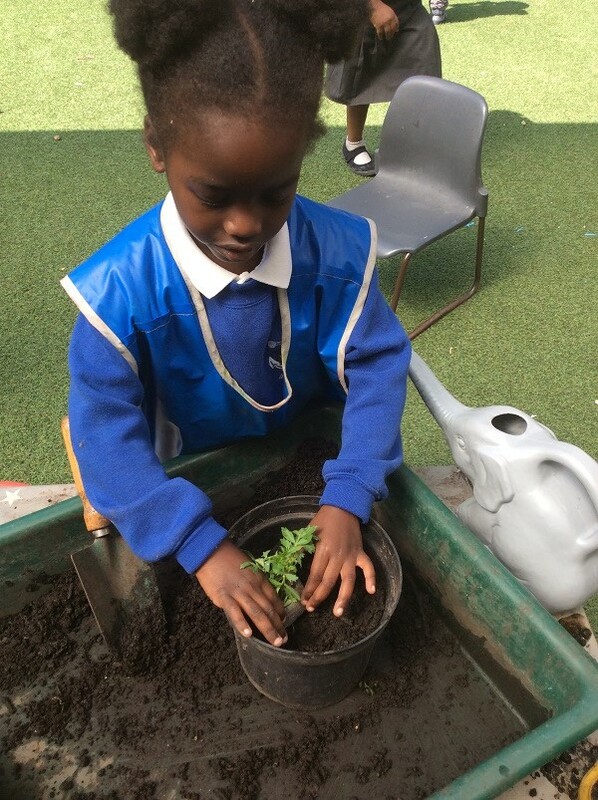 We have a few pictures below of our green fingered talented gardeners. 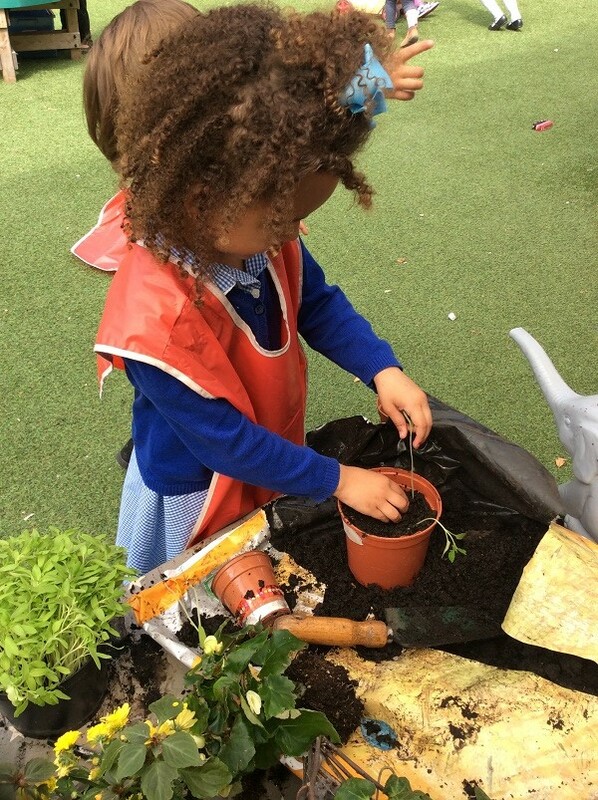 Why not click on a thumbnail or two for a larger view.